Like I always say no celebration is complete without a cake. I think I have carried this fantasy of cakes from childhood, my parents never fail to get a cake for any of our birthdays. 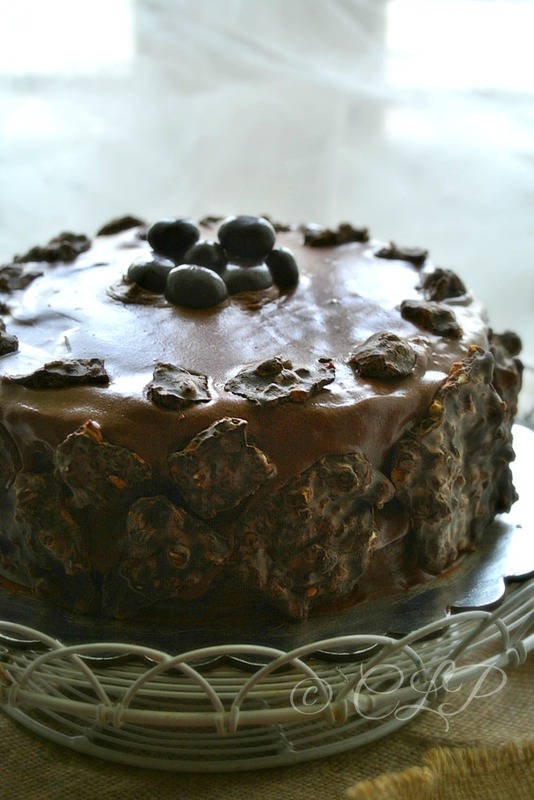 The tradition still continues, having said that I had no qualms of whipping up a cake for the occasion of my second blog Birthday/ Anniversary. Sure is a milestone, I am the types who will start a hobby and get bored with it in no time, little did I know that this hobby of blogging will turn into a passion that I cannot do without. If my family is reading this they would know exactly what this means :D. I can talk endlessly about blogging, my struggles, challenges and so on. But I do feel overwhelmed in this huge web of bloggers who have inspired, motivated and challenged me time and again. Every comment, email and appreciation have made me come this far. Its little things as this that I hold truly special and memorable in these two years and the years to come. Blogging has encouraged me to read, write, talk, share, cook, click, learn, value, train me in many ways than I have never imagined. I want to take a moment to thank God for without Him I am nothing. I must mention my family who have been my biggest support, my husband who is my taste tester, motivationalist and critic to all my work. He has even spoilt me with a new DSLR a month ago. I am blessed to have a partner in crime who is also a very big support to my passions and interest, what I truly love is his constant encouragement and involvement. My mother who has gone ends to get me props when I had least expected her to, my parents who gifted me an oven when we moved to India and also my mom who had passed me tons of her skilled recipes for me to share with you all. Lastly but never the least my heartfelt gratitude to all my readers, fellow bloggers, friends and extended family for all your support without which it is hard to imagine. Most days I love to skip the regular breakfast and go for a smoothie. Off late I have been including apple to my daily diet and simply loving it. 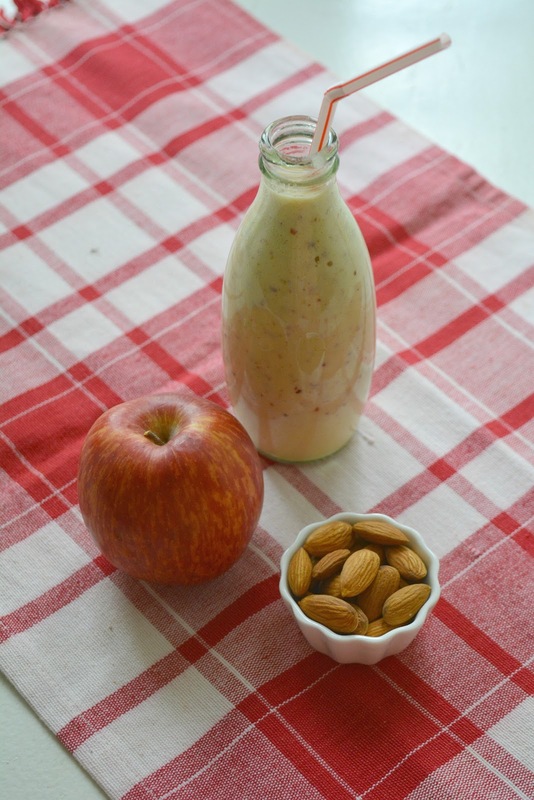 This Apple almond breakfast smoothie is a perfect and filling smoothie without any sugar. Just blend everything together and voila your breakfast is ready on the go. I read somewhere that adding cinnamon apple and almonds helps boost metabolism and when you have this combination for breakfast it keeps you charged for the day. Pooris are always a big welcome in our household. But I do not make them often since they are deep fried. But every now and then I try to make variations with pooris like the other time I made Palak Poori (Spinach) which was well received at home and with my readers. I had made this beetroot poori couple of times and it always are a stunner with their attractive colour. At home my husband gets bored with beetroot poriyal and its hard to make him eat vegetables. I used to stuff him with ABC juice and one other option was beetroot poori. He ended up loving these pooris and request me to make them again and again. 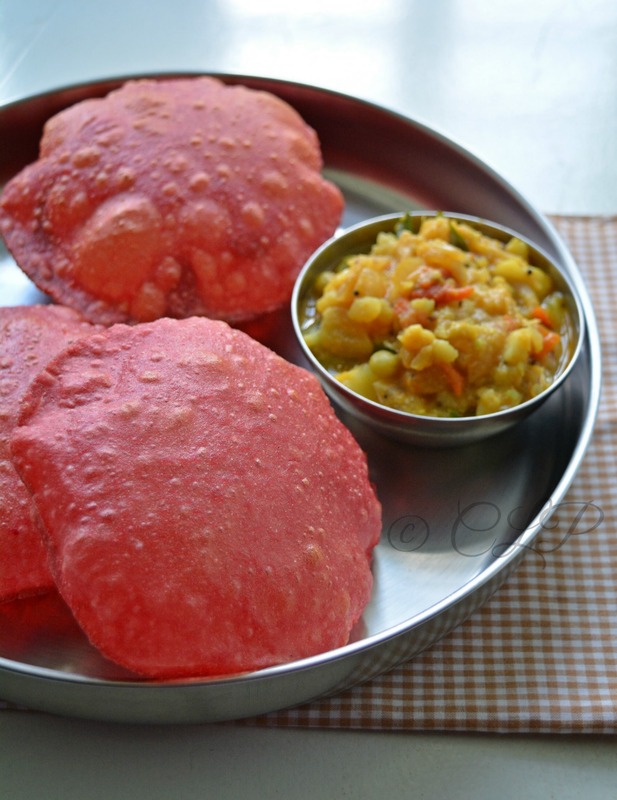 I didn't want to miss posting this family favourite beetroot poori and here goes the recipe. Yipee finally its the weekend. How has your weekend started? good? bad? for me nothing interesting so ended up cooking a simple vegetarian lunch. After a week long of no desserts, sweets and such I was craving today for something light and sweet. I wanted to make use of a vanilla bean which I had saved up for long, really not sure why though. But anyway today I was wanting a dessert with vanilla bean, I had 2 of them and used up one to make a Vanilla Bean cake exactly a year ago and hence did not want to do another baking recipe. 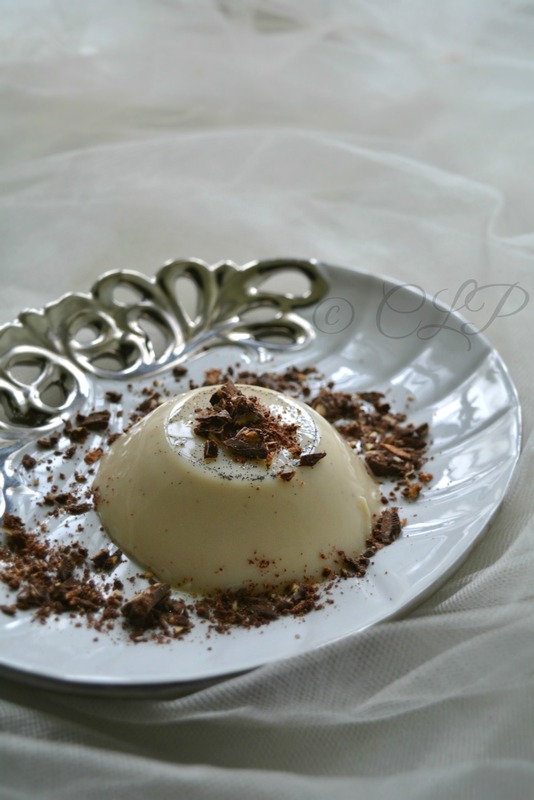 I had few things in mind before making this pudding - eggless, no gelatine, light yet tasty. I have used agar agar in the past for my Strawberry Pudding. On the similar lines I made this Vanilla bean pudding and it was delicious. Omelettes bring back childhood memories to me. I still remember how we used to have an omelette or egg scramble to go along our vegetarian meals. My brother was and still is an egg lover, he never missed to have eggs during his lunch/ dinner. Amma used to even pull his leg saying he never wants to miss the baby and parent (Egg & chicken) :-P. I love both versions, although I am never a fan of hard boiled eggs or runny eggs, I love omelettes and scrambles. And sure do they need to be added to my collection of recipes. Making an omelette is never rocket science but its just the mix and match of ingredients that make the omelette delicious. This is our age old version of making masala omelette. Vendhaya Keerai Kara Kuzhambhu / Fenugreek (Methi) leaves Curry is a perfect curry for mid week blues. I love the tangy taste of this curry and its just perfect when paired with a vegetable stir fry and appalam. Total comfort food that is just amazing, today I made this for lunch and in no time the curry got over. This combination might be new of adding greens/ keerai to a kara kuzhambhu. I am not sure if you can add any other keerai to this curry but I remember Amma making this over one of my visits. I simply loved it and ended up clicking pictures and lost them :(. So today I had a bunch of fenugreek/ methi leaves waiting to be used. Without second thought I made this yummy tangy spicy curry for lunch. The important tip before making this curry is that you must use only the fenugreek leaves, the more tender the better flavour and do not chop them, just wash and add to the curry base. If you chop them they will have a slight bitter taste. Palak/ spinach is one of my favourite greens, its such a versatile ingredient to add to curries and stir fries. We always have 2 greens at home per week, I try to pick up the freshest possible ones from the near by vegetable market in India. My memories of spinach have been from the Popeye days, I used to wonder what was this spinach that Popeye used to eat to become strong, I used to argue with Amma when she used to say its keerai :P. After many years I had to agree and I was never a fussy person when it came to eating vegetables and fruits. I think its something I inherited from Amma which I am happy about now. Spinach/ Palak are low in calories and high in vitamins, minerals, iron, omega 3 fatty acids and so on. This is one vegetable that is suitable and a must for good health. Try to add these low calorie green to your diet every week. 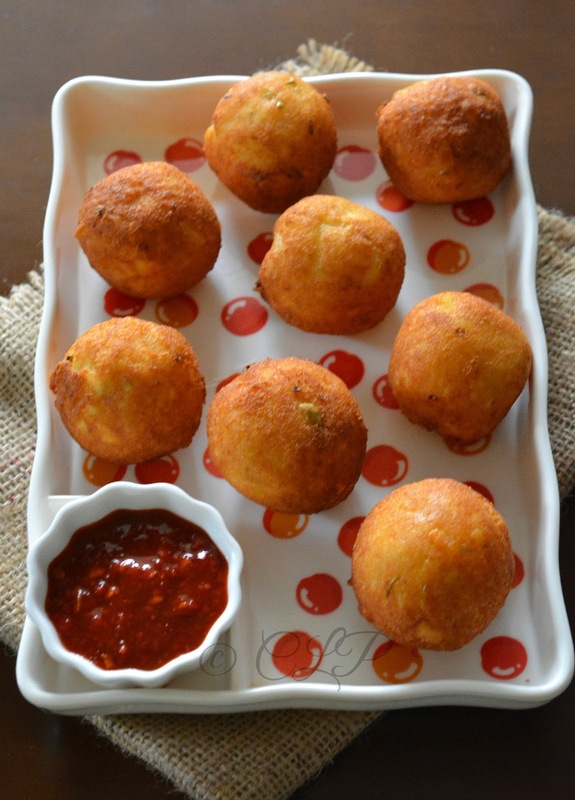 Paneer Koftas are soft sponge like Indian cottage cheese balls deep fried and serves as a snack or added to a creamy curry. These koftas are really hard to resist, the other day I planned to make a creamy kofta curry and just when I finished making the koftas the power went off and I ended up serving these koftas as a snack. Nevertheless they were well received by everyone. The kofta fillings are mildly spice and perfect with a hot chilli sauce, you can go ahead and more spices and make it more hot. 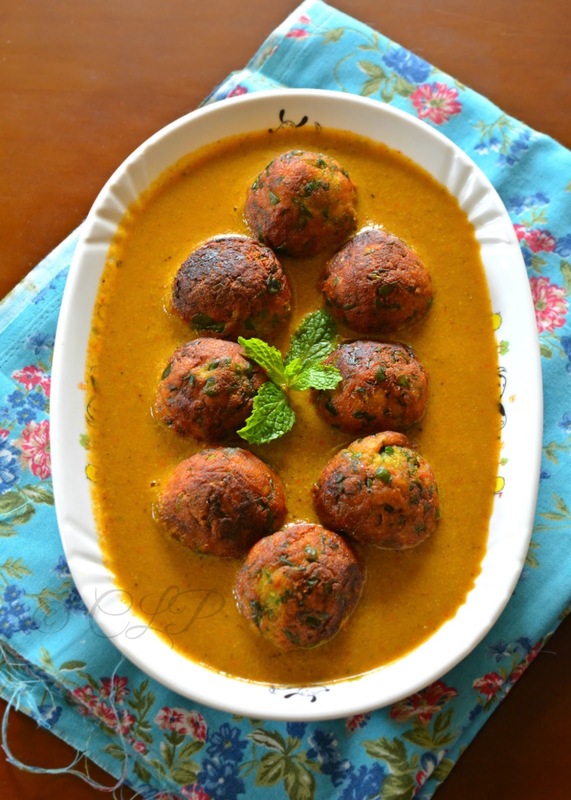 These same koftas can be made to be dipped in a curry for a creamy kofta curry. When we meet lovely friends along with great food that's what I call bliss. Today I am so happy and honored to feature one of my good friend in blog world Meena Kumar who blogs at Elephants and the coconut trees. Meena is such a friendly, down to earth blogger to has many talents up her sleeve. 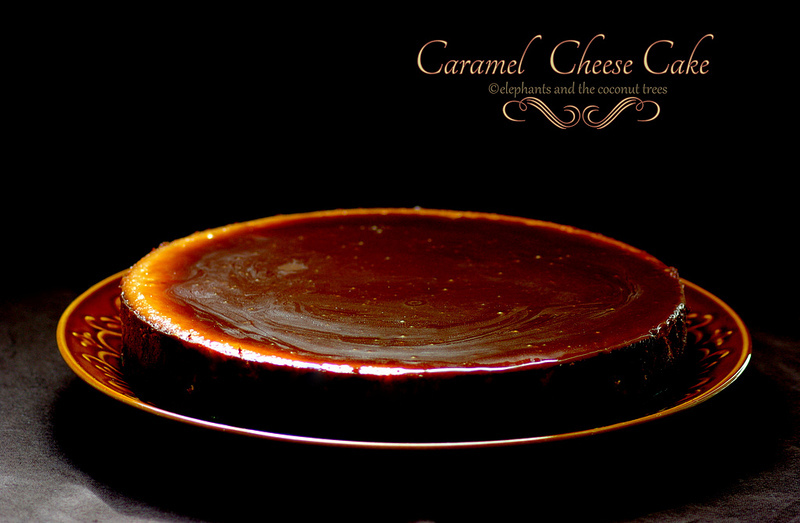 Personally I am huge fan of Meena's blog, right from her recipes, writing, photography and food styling. Her blog has her individuality and you will find a touch of Meena in everything. There have been days I have gawked at her Lychee Pudding, Whole chicken roast, Red wine, Cabbage stuffed with turkey to name a few. I am sure you would have hopped to her blog to virtually treat yourself with her eyecatching food. Over the years that I have blogged I have learnt that blogging itself is an art, apart from cooking, recipe developing, plating, styling, writng a post and so on. But I have found very few bloggers who score high in all aspects and Meena is one of them. Its a pleasure to know her and hop into her space. Today Meena shares with us a gorgeous dessert, and I have not words to express what I felt when I saw her post in my mail box :-). Thank you so much Meena for taking time off your hectic schedule and doing this lovely dessert and chit chat for me. I am so happy to share you and your dessert with all my readers. My kind of lunch/ dinner is a lovely chicken kurma paired with rice/ chappathi. This curry never fails to impress anyone, simple, delicious and just perfect in all aspects. Mild yet flavourful is how I would tag this curry. Don't we all look for such delicious recipes? I didn't have to search a lot for this curry as it has been a staple in our home. Although Amma's version is ultimate I still have found an easier route to this curry with my own variations. 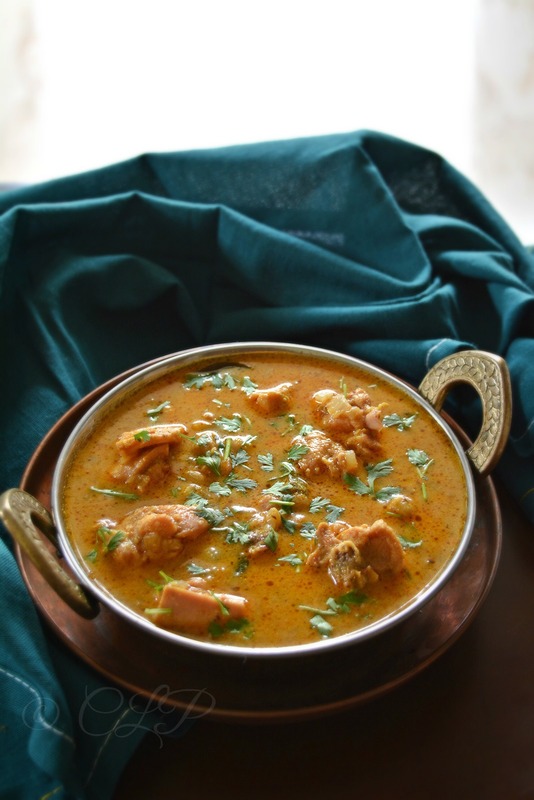 I usually use tender chicken thigh pieces to make this curry instead of whole chicken pieces. The simple reason being chicken thigh are more tender and easy to eat whereas the whole chicken would have pieces that are hard too. You can even use chicken with skin if that's what you love. To avoid fat I usually skin chicken with skin. Podalangai / Snack gourd is one of my favourite veggie. I usually use this up in sambar, poriyal or kootu. Snack gourd like most vegetables has many health benefits its full of fibre, aids weight loss and it is said that juice of it when used in scalp can treat alopecia. They are natures way of cooling the body hence make use of this vegetable to the best during scorching summers. 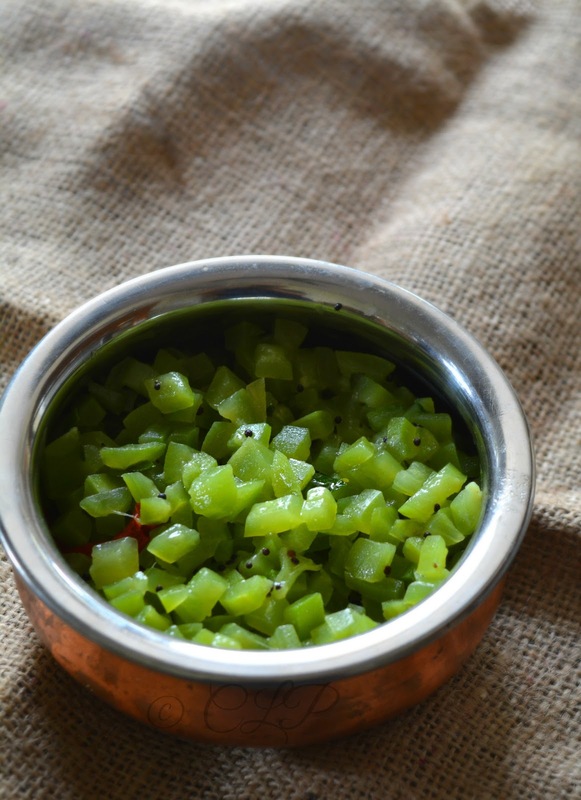 Today I wanted to share a simple stir fry/ poriyal using podalangai/ snack gourd. 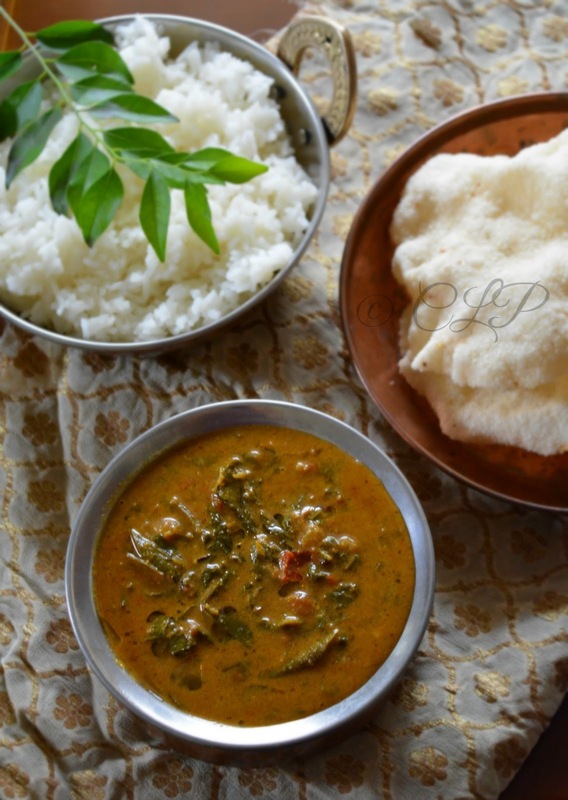 Vendhaya Keera / Fenugreek leaves Sambar is a staple in our home. I love the unique flavour of methi leaves in sambar, I usually reduce the amount of spices and tamarind in this sambar to have that flavour of methi doing the dominance. 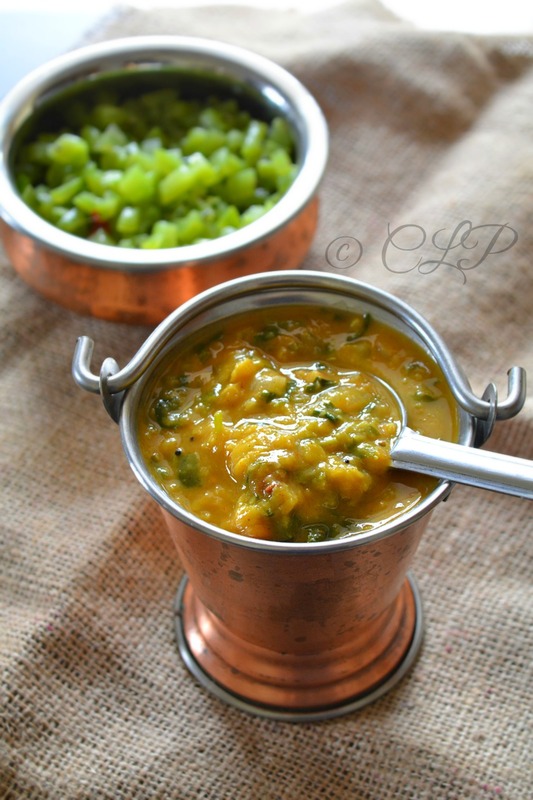 This methi sambar can be had with white rice, a great way if you want to include green leaves to your diet. That said you can almost use any greens and follow the same recipe for your greens sambar. I make sambar with palak/ spinach leaves, drumstick leaves and so on. Fenugreek is well known for its benefits to control diabetics and cholestrol. Fenugreek leaves are said to aid digestion, heart health, hernia, breast feeding, cure acid reflex (heartburn), skin health and so on. Add these leaves to your diet and enjoy the goodness of them. Paneer / Indian cottage cheese is such a versatile ingredient. They are vegetarians way of adding protein to their diet. We are all familiar with curries and tikkas with paneer hence I wanted to share a snack recipe with paneer making them into cutlets. Paneer cutlets are soft and tasty in every bite. They are easy and quick to make. 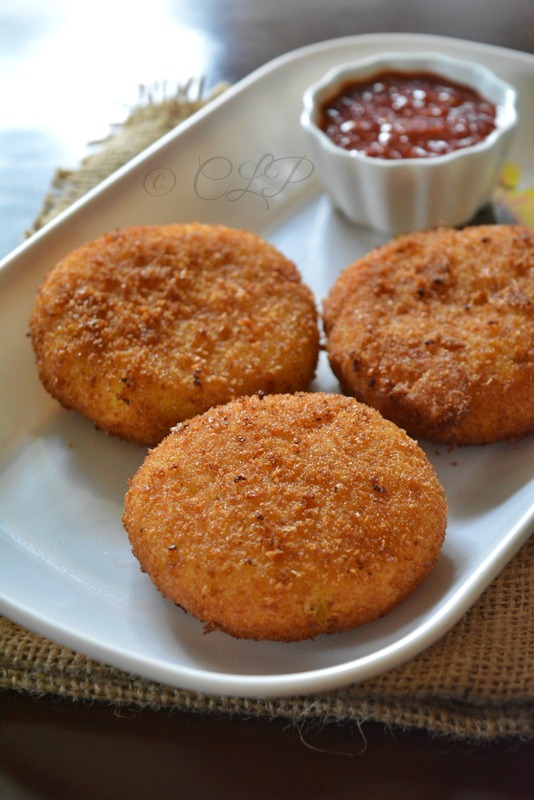 I love making snacks with paneer, after this paneer cutlets my favourite has been the paneer cigar rolls. If you have vegetarians guests at home, make them these easy and yummy snacks. 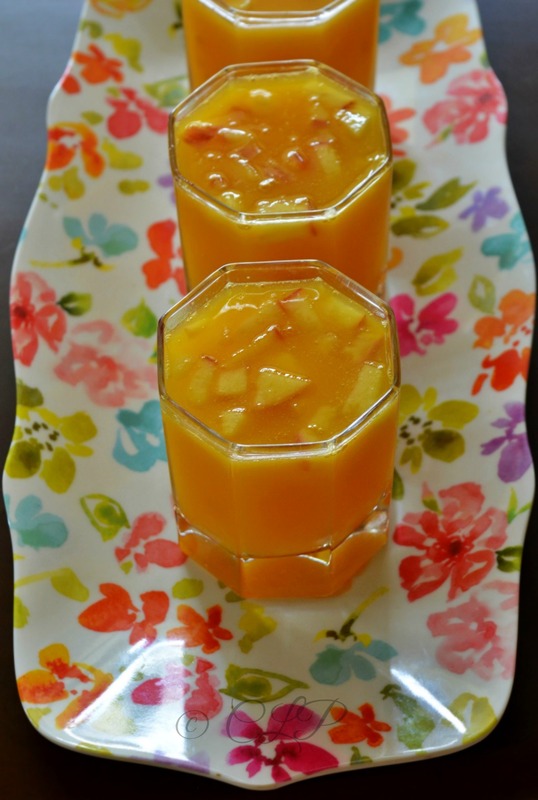 I had promised that I will post more mango recipes in CLP so that all of you can try them and enjoy this lovely seasonal fruit. Honestly I love to just cut a ripe mango and eat them straight without even peeling the skin. But life has changed for me right from the time food became an object of interest and blogging has made me to try new recipes and try my own variations. So when I had a dozen mangoes at home, I literally planned what all recipes to try and here goes. We all know the usual mango milkshake, mango lassi and mango juice recipes, I wanted to try a mocktail recipe with mangoes for long. Last week we went for a friend's wedding and the welcome drink served there was Mango mocktail and my mind was quickly trying to grasp the flavours in that drink. I then tried to recreate the same at home and vola it was spot on the first time I tried it. Moacktails are non-alcoholic fruit based drinks that has a combination of fruits that give a unique flavour. What do you do when you have a dozen mangoes at home all ripe at once? try your hand with mango jam ;-). Preserve the season's best to relish later, that's exactly what I did. Mango jam cannot get as simple as this with just 3 ingredients and a little time at hand anyone can make this jam recipe. Does not require that you need to be an expert or even a cook to say the least. Chop the mangoes, add sugar and lemon juice, bring it to boil cook further and reduce to a thick jam like consistency, that's it. I still remember the first time I tried red grape jam at home, it was super easy and I couldn't believe that it would be that easy to make homemade jam. This will be a great recipe for kids and adults alike unless the latter is on a diet to lose weight. A great giveaway gift to friends and family. Try this recipe and I am sure you will feel proud of making something from scratch and trust me you will never buy another jam bottle from a store again. There are many recipes I try and only few get featured here in CLP. But today I wanted to make sure that this skin clearing drink makes a spot here. I love to start my day with this simple sugarless drink that had never failed me with my skin maintenance. Everyone knows the goodness of carrots and their benefits to skin. But how often do we take carrots is a topic in itself. Try this drink as a start to your day and after weeks you will see a noticeable difference to your face. I love to spice the drink with nutmeg and cinnamon for an extra flavour that goes very well with the drink. When I was in my teens one of my friend had issues with acne and the result was dark spots and she always swears by nutmeg she used to apply nutmeg powder and water mixed on the spots and then use it as a scrub to wash away. Nutmeg has skin clearing properties and not all love the unique spice like woody taste that they have but a small pinch of it goes a long way. Do try on this drink to see visible difference to your skin. Mangoes are in full season, to add to all the mango madness last week my dad came home with a box full of ripe alphonso mangoes. I went mad seeing the amount of mangoes and everytime I would step into the kitchen the whole room would be smelling of sweet ripe mangoes. I wanted to try few recipes using the seasons best, hopefully will share all the mango madness with you here ;-). Adding to the madness as it is, I finally picked up a new DSLR camera after much research and lots of waiting for the best deal I finally am a proud owner of a Nikon D5200 and to treat all of you I made this simple low fat mango fool recipe. Do comment below on your thoughts about the pictures in this post. Madurai being the third largest city in Tamil Nadu is famous for many historical places and for their unique culinary style. Few of their famous recipes include Paruthi paal, jigarthanda, panangkarkandu paal and chettinadu varieties like appam, kuzhi paniyaram, etc. Tasty, lip smacking food with a sure droolworthy eyecatching platters are not for the faint hearted. 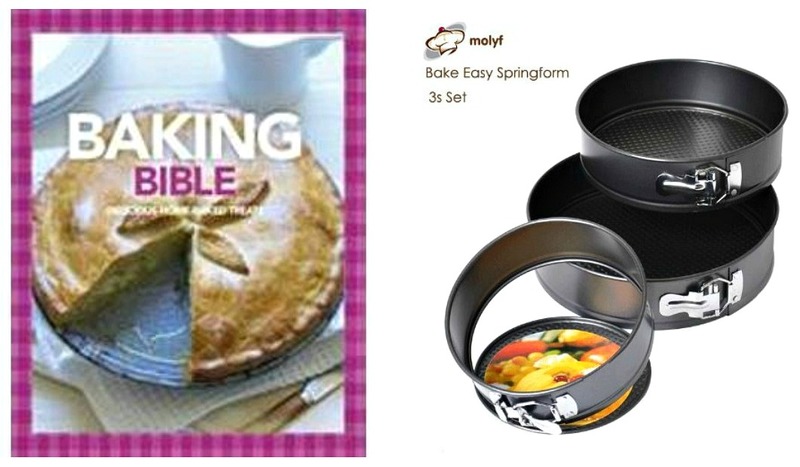 You will find many aromatic recipes that are sure to tickle your tastebuds. 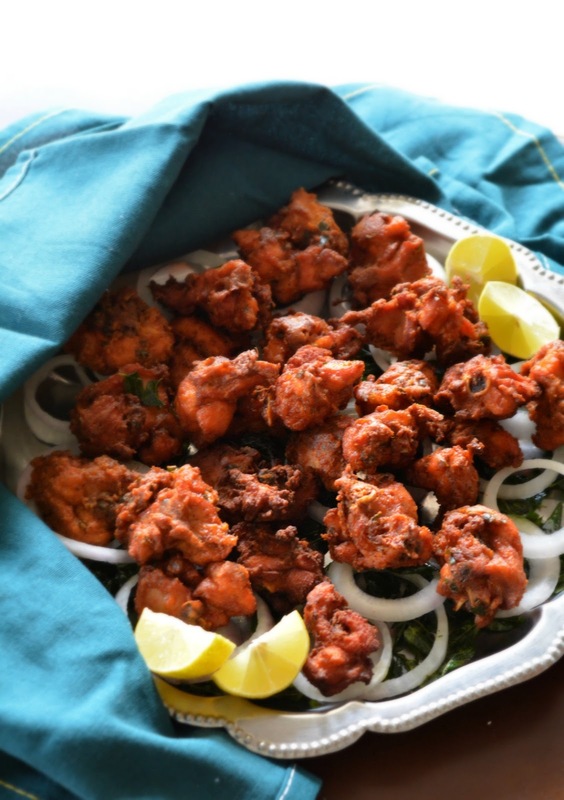 Today I am sharing one such recipe that will keep your tastebuds asking for more- a spicy Madurai Chicken Roast/ Chicken Thokku Fry. A simple dish but filled with tons of flavours, the secret is in the method of cooking and using small onion/ shallots & gingelly oil. Now lets move on to the recipe. If you live in India you must have sure had parottas or paratha. Most fast foods and Indian restaurants can never be complete without a parotta recipe on their menu. My memories over parotta have been with egg curry. Parottas are layered Indian flat bread that can be easily made at home and trust me homemade parottas taste great, and I must admit it takes practice and a bit of patience for excellent results. Follow my tips at the end of the post. Lachha / layered parotta, keral parotta & wheat parotta are all the same. But there are variations where egg is added to the dough. 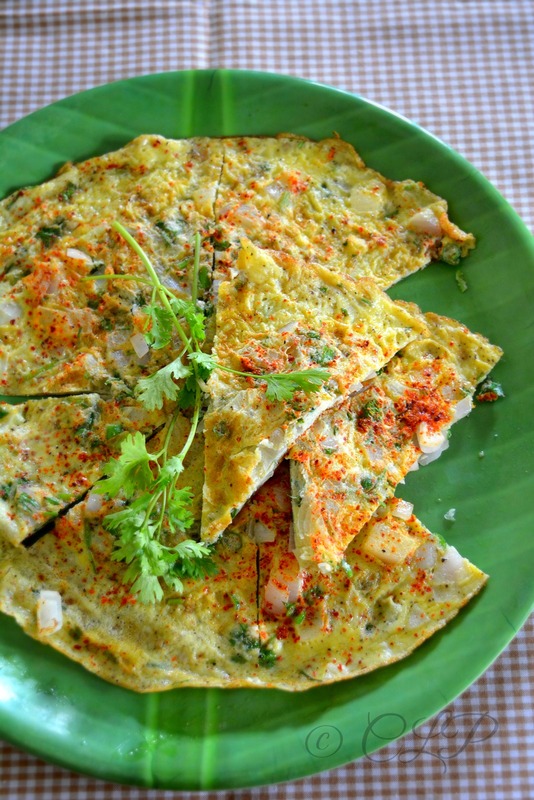 This is an eggless version of parotta which is light one person can eat 2-3 parottas easily. You can pair it with any veg/ non veg curry to go with it and with a tandoori dish it makes an ultimate meal ;-).